“GREAT EQUITY! lower floor, smaller unit 1534 sold $290,000”. Renovated High Floor w/ Turnberry Golf & Skyline & Sunset Views. Granite & Wood Kitchen w/Stainless Steel Appliances open to Dining Area & Living Room. Neutral Tile in entire condo, New Vanities, Frameless Shower, Walk-in Closet. Brand New Modern & Fresh Hallways. Pool, Sauna, internet & Cable included, Shuttle Bus, Garage Parking plus 2nd space available for $50 / month. 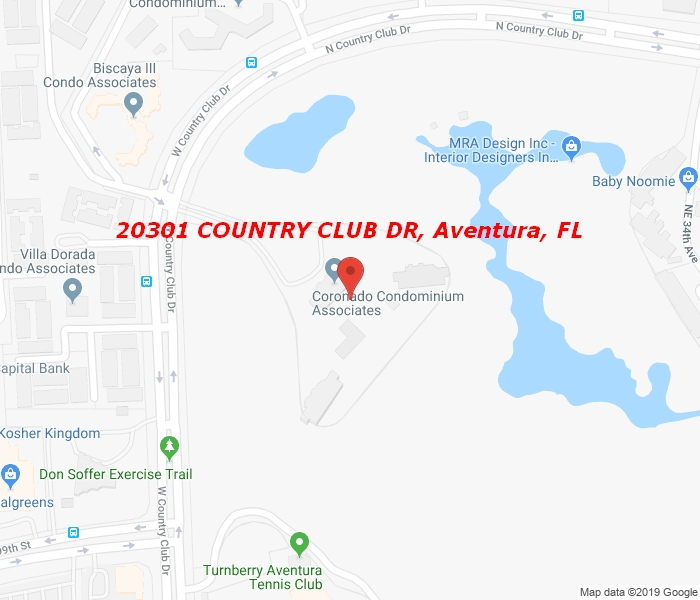 Assigned storage unit on the same floor, Paid off assessment, Gate guarded complex right on Country Club Drive, walk to Aventura Mall, only service dogs allowed, min 2 year lease period, CONV Financing available, budget has reserves.